The direction that the DC Vertigo relaunch has chosen to take is certainly rather bold, resurrecting the extremely popular series that was the Sandman Universe and, so far, featuring bugger all in the way of Sandman. 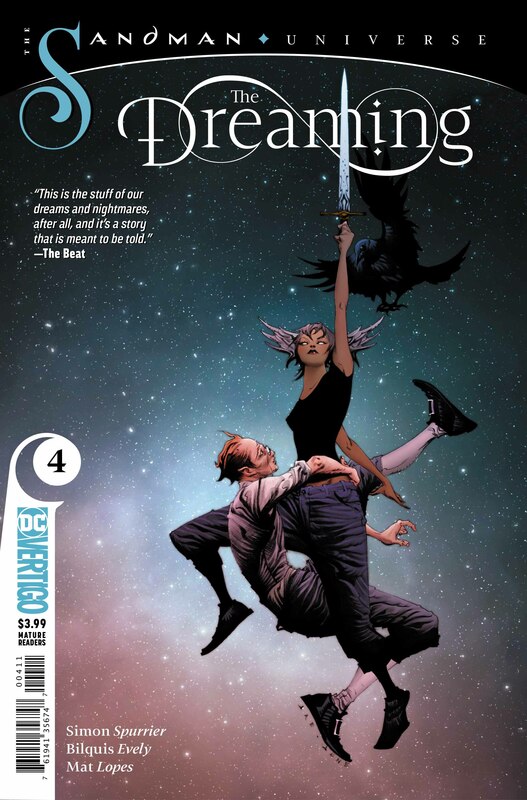 But its unquestioned success to this point just goes to prove how captivating the other characters are, and just why the return to the Dreaming Realm has become one of the most enjoyable experiences I’ve had as a comic book fan for years. 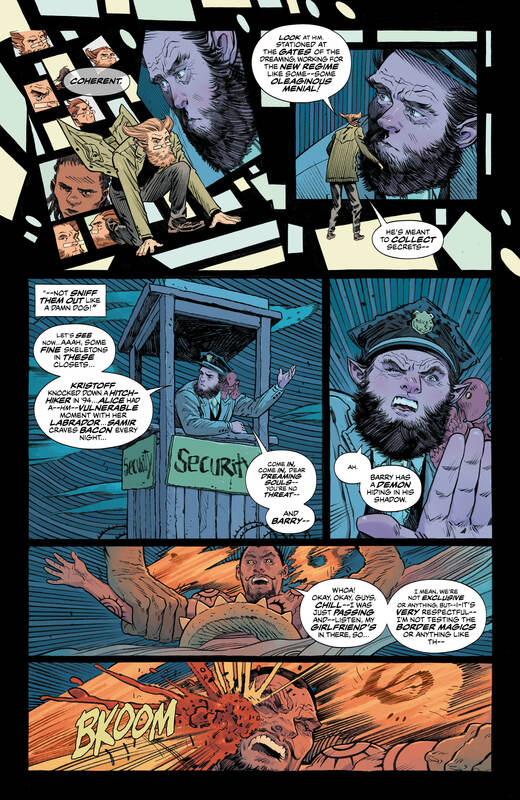 In this latest chapter, The Judge continues to enforce his newly acquired power over the Dreaming Realm after his ill-advised release in issue two, and it’s easy to see why Morpheus decided to imprison him in the first place with his very singular and dated view of justice. The many nightmares have been released to run rampant, and the usual creatures of dream have either been killed or forced to sit and watch, unable to do anything to stop this new ruler. It’s not looking good, the librarian has truly lost the plot, the strange architecture that has emerged through the crack has its own agenda for Cain and Abel, and even Dora-the-unknown-but-powerful-mortal finds herself incapacitated. 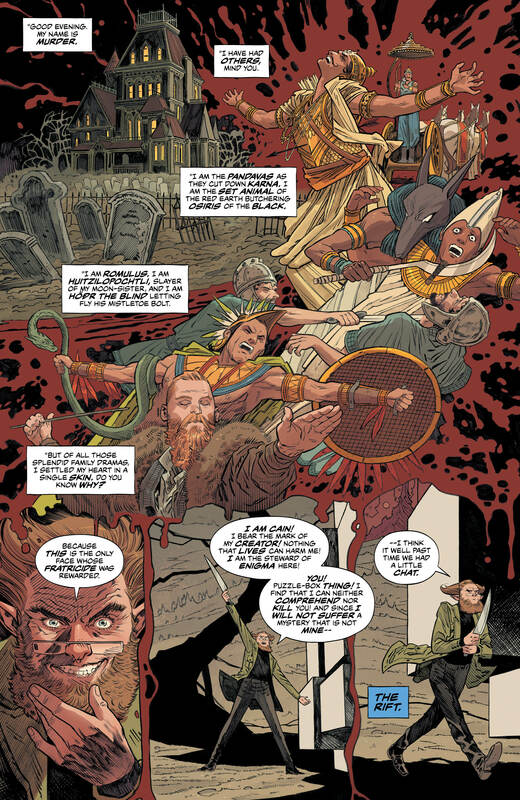 Four issues in and the story continues to spiral deeper, giving us more and more questions as each crack spreads further through The Dreaming. 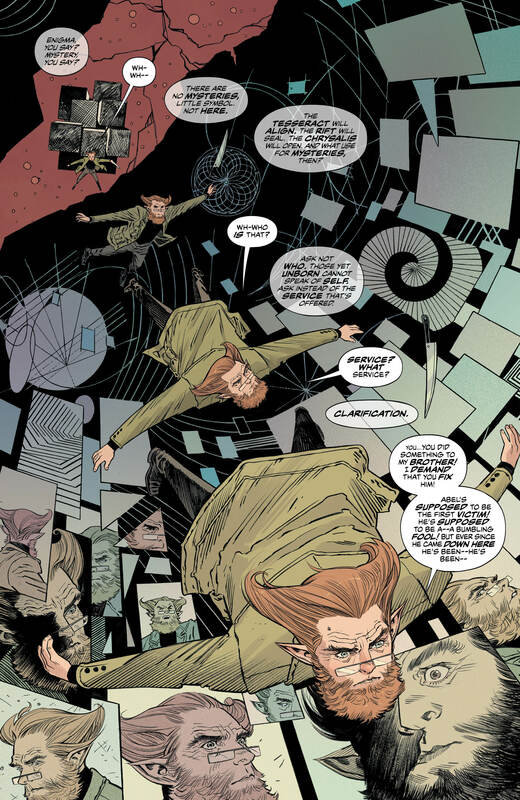 But it’s an enjoyable spiral to say the least, as with all of the new DC Vertigo titles at the moment. You don’t get answers, you get a poke and a laugh alongside more new but beautifully familiar art. The supporting characters continue to be given a new lease of life as a result of their missing master. Cain for instance is much more than a throwaway crazy dream remnant, we see him now as the embodiment of murder in the various historical and mythological forms. It makes you think about the rest of the cast, questioning whether they are just Morpheus creations or the actual figures they’re named after. Pumpkin Head is more than a cheeky gag thrower now, and his actions have become an integral part to whatever is going on. This story of the missing Dream Lord has fast become so much more than that. In establishing the premise Si Spurrier has penned a tale that is the embodiment of a dream turning bad. We’re seeing the dreamlike reunion we’ve wanted for years turn rotten and nightmarish before our eyes and out of our control, with nothing to do but hold onto the cute girl in the striped socks with wings on her head and hope someone saves the day soon. Bilquis Evely has made this world her own with her fantastic art, and it’s easy to see the effort that goes into every page, with each panel standing on its own but still mixing perfectly with the rest of the page. It gives the story that extra sense of dreamlike nervousness, where the creatures of actual nightmare tear apart a world that you can tell was once beautiful. New characters like The Judge and his minions also fit perfectly into the universe, not just in terms of their set-up and introduction but their physical appearance and demeanour are quintessentially Sandman. This is a story which is very, very aware of the universe in which it’s set, but at the same time isn’t afraid to try something extremely new and risky.